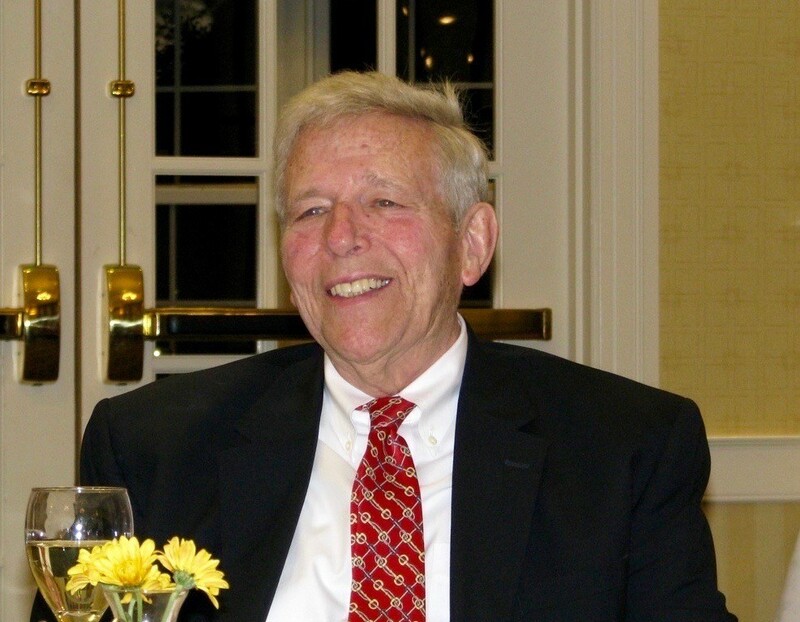 B. Graeme Frazier III, “Terry”, 82, retired insurance executive died peacefully on March 18 at Normandy Farms Estates in Blue Bell. Until retiring in 1997, Terry was president of The Hirshorn Company in Chestnut Hill. Prior to that, he worked at Alexander and Alexander, Lukens Savage and Washburn, and Peake and Company insurance brokers. Terry was born in Philadelphia, PA to Helen Wolstenholme and B. Graeme Frazier Jr. He graduated from The William Penn Charter School and from Trinity College in Hartford, Connecticut where he was a member of St. Anthony Hall. After joining the ROTC in college, Terry became a second lieutenant in the United States Air Force where he spent over 5 years and was honorably discharged. As a captain, he was a pilot of a variety of jet aircraft and a member of the Mach Busters Club. Terry flew missions during the Cuban Missile Crisis as an aircraft commander of a radar equipped Super Constellation and later enjoyed flying his Piper Arrow. When talking to a nurse recently, he described himself as “a bit of a daredevil”. Terry was always on the cutting edge of technological advances. In 1976, he bought one of the first personal computers and taught himself how to code and program. He was always willing to “help” friends and family with their computer problems. As a curious man, Terry disassembled and reassembled a variety of vehicles, computers, and appliances. A fun hobby for his later years, he bought two motorcycles to refurbish and enjoy. Beginning in 1985, Terry and his family fell in love with the Lake Paupac Club in the Poconos, and in 1997 bought a cottage there. A family man, Terry loved gathering everyone together at the lake. He enjoyed playing golf and tennis, as well as boating. He also donated his time as a member of the Lake Paupac Club Board. Terry volunteered his time to many organizations. He was president of the Philadelphia Cricket Club and the Wissahickon Skating Club. The Presbyterian Church of Chestnut Hill was a priority in his life and he served as president of the Board of Trustees and as an elder. He was president of the Board of Trustees of the Presbytery of Philadelphia and later he became chairman of the board of Philadelphia Presbytery Homes. He is the most recent past president of the Residents Association of Normandy Farms Estates. Terry is survived by Barbara Peake Frazier, his wife of 57 years, and his children, Sandra (George) Connelly, and B. Graeme (Elizabeth Spahr) Frazier IV. He will also be missed by his grandchildren Katherine F. Connelly, Whitney C. (Ryan) Gelrod, Quinton Graeme Frazier, Elizabeth D. Frazier, Alison S. Frazier and many nieces and nephews. He is predeceased by his parents and two sisters, Audrey F. Whitby and Elaine B. Corey. Relatives and friends are invited to Terry’s Memorial Service on Saturday, April 8th at 2 o’clock at the Presbyterian Church of Chestnut Hill. The interment will be private. Memorial contributions in Terry’s name may be made to the Presbyterian Church of Chestnut Hill, 8855 Germantown Ave., Philadelphia, PA 19118.